Though I may not be an Estevez, I am much cuter and much more charming! Hi everyone. 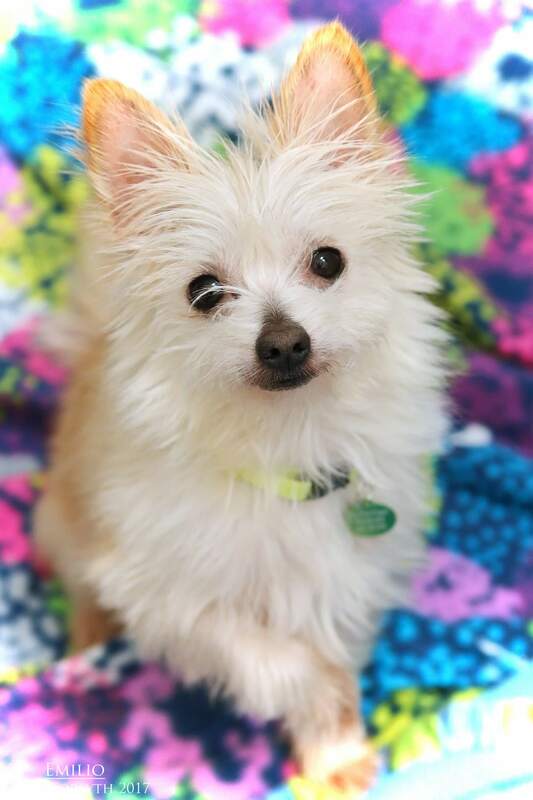 My name is Emilio and I am a 2-year-old terrier/chi mix weighing in at just 7lbs. Don’t let my size fool you, as I am quite the Mighty Duck myself and am a confident, fun-loving guy with a big heart! I really enjoy meeting new friends, including other doggy pals, cats, and humans alike. So much so that I will stand on my back legs and politely ask you for some more attention. 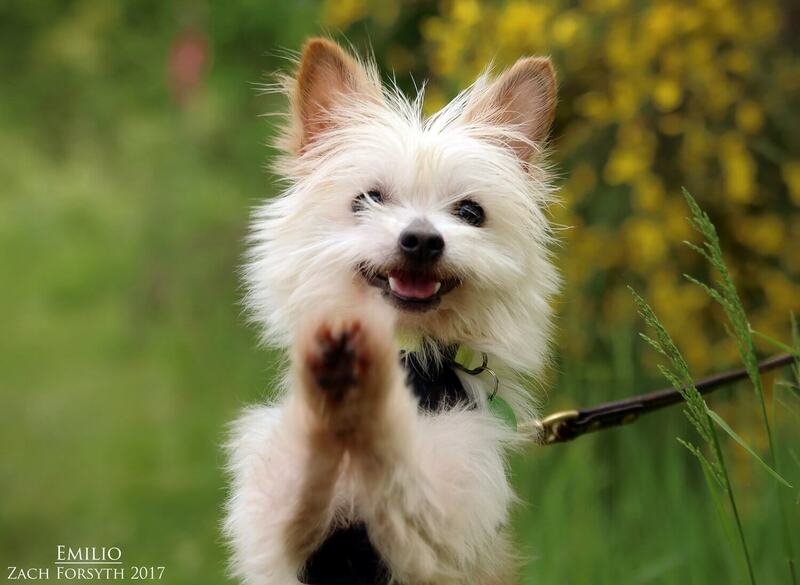 My funny little dance is enough to steal your heart and you will instantly want to give me lots of love. I am very food motivated and am very smart, which will help when it comes to learning some of the basics (Though I already know “sit”!). After a nice afternoon cuddle session on your lap, it’s back outside for a nice walk around the neighborhood. I can be very talkative sometimes, so an owned home would be best for me. Overall, I am energetic, fun, spunky, and insanely adorable! You know what they say, “you miss 100% of the shots you never take”. So let’s shoot to meet today! Fill out an application to set something up! I come to you vaccinated, micro-chipped and neutered for an adoption $300.